In yet another Facebook post, Nathan Orr attacked Pro-Second Amendment groups -- including the National Rifle Association (NRA) and the New Jersey Second Amendment Society (NJ2AS) -- for supporting and endorsing Pro-Gun/Pro-Hunting/Pro-Freedom candidates Parker Space and Hal Wirths. Orr went so far as to claim that Wirths supports a certain gubernatorial candidate, which is totally false. 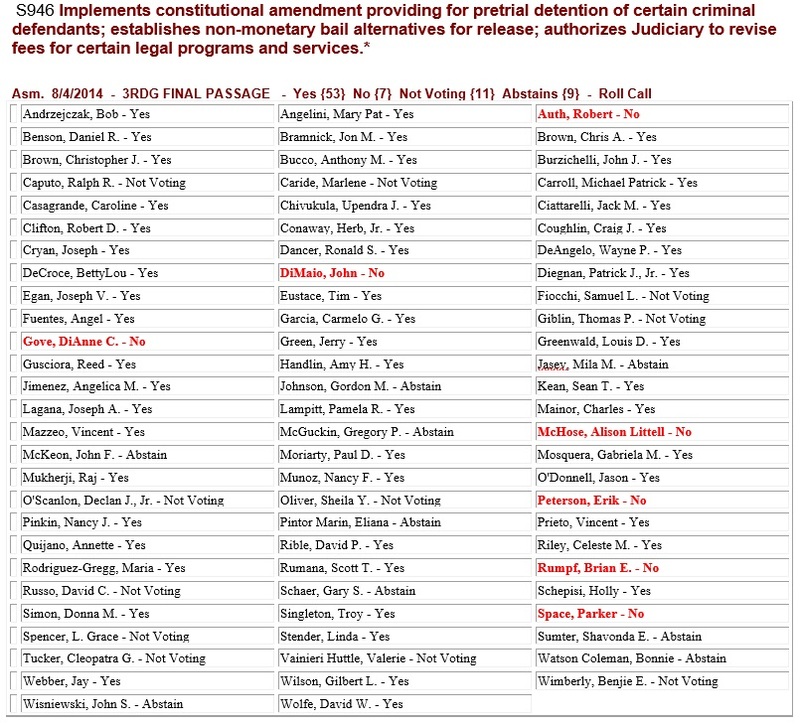 Orr and his running mate, David Atwood (AKA David Wygonski, Dave Wygo, et al), have been featuring an ad in which they make another outrageous lie -- that Assemblyman Parker Space and Assembly candidate Hal Wirths voted for Bail Reform legislation. They certainly did not. Assembly candidate Hal Wirths was not a member of the Legislature and could not vote on S-946. Hal Wirths' running mate, Assemblyman Parker Space, voted NO. And Assemblyman Parker Space voted NO. That makes Nathan Orr and David Atwood... liars, again. On top of this, Atwood and running mate Bill Hayden couldn't be bothered to vote on the public question of bail reform when it was placed on the ballot in November 2014. Both Atwood and Hayden failed to vote in that election or in most other elections, for that matter. Atwood missed every election in 2013, 2014, 2015, and the primary of 2016. Hayden missed every election in 2011, 2012, 2013, 2014, 2015, and the primary of 2016. And now they lie about Parker Space and Hal Wirths on top of it.